I have trouble with vegetables. It’s not that I don’t like vegetables because I do. My problem with them is that I often cook them the same way all the time and it gets boring. I only have a handful of vegetable recipes that I like to make for dinner either because they are easy or they are something we really enjoy. This week the Sunday Supper Movement is sharing Kid Friendly Vegetable recipes and I’m hoping to get some ideas for myself! Part of the problem is that we have a limited selection of vegetables in the market during the winter months. While in many parts of the country winter only lasts about 3 months, where I live winter is a solid 6 months and the veggie pickings are slim. I am always so happy when May comes around and the farmer’s markets open up so I can have a wide variety of fresh vegetables to choose from. It really helps get my creative juices flowing. However, for the rest of the year I usually make do with carrots, broccoli, cauliflower, potatoes, and green beans. This means I’m always looking for new ways to serve these 5 vegetables. 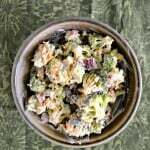 For the last few years I’ve been seeing a lot of recipes for broccoli or cauliflower tots. They look ok but I wasn’t sure they were something I wanted to make. I thought they would take a lot of work but I was wrong. It turns out that if you have a food processor and a piping bag, vegetable tots are fairly easy to make. They only require about 10 minutes of hands on time and then they bake for about 20 minutes. If you don’t have any piping bags you can use a sandwich sized zip top baggie to pipe the tots instead. You can even shape them all by hand but that will take a lot more time. 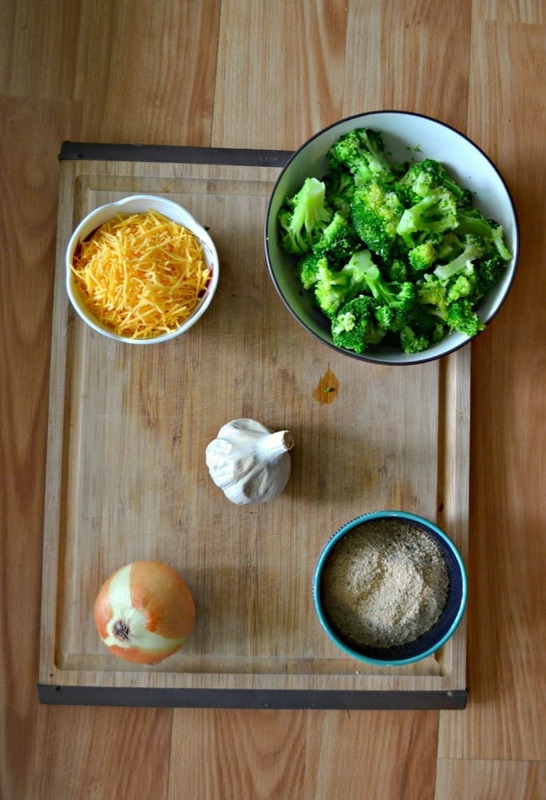 So to make these broccoli tots all you need is 7 ingredients plus salt and pepper. Everything is placed in the food processor and processed until smooth. Then you simply put the mixture into a piping bag and pipe it onto a baking sheet. 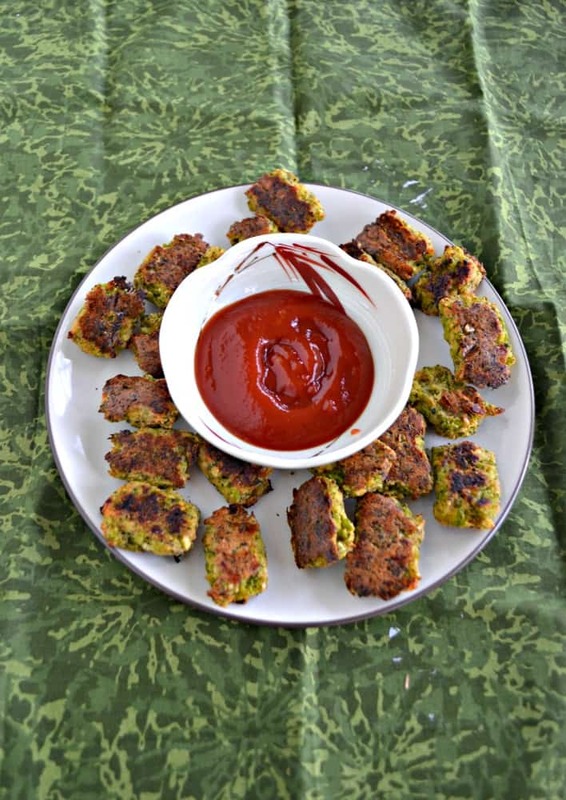 Bake them for about 20 minutes or until they are brown and the vegetable tots are ready to go. I was pretty worried about what dipping sauce to serve these with. I put them out with marinara sauce and ketchup. It turned out I didn’t need anything to dip them in. They were really flavorful and kept their shape. 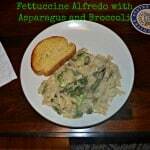 My husband and I both enjoyed them and I will be keeping these in our vegetable rotation throughout the year. 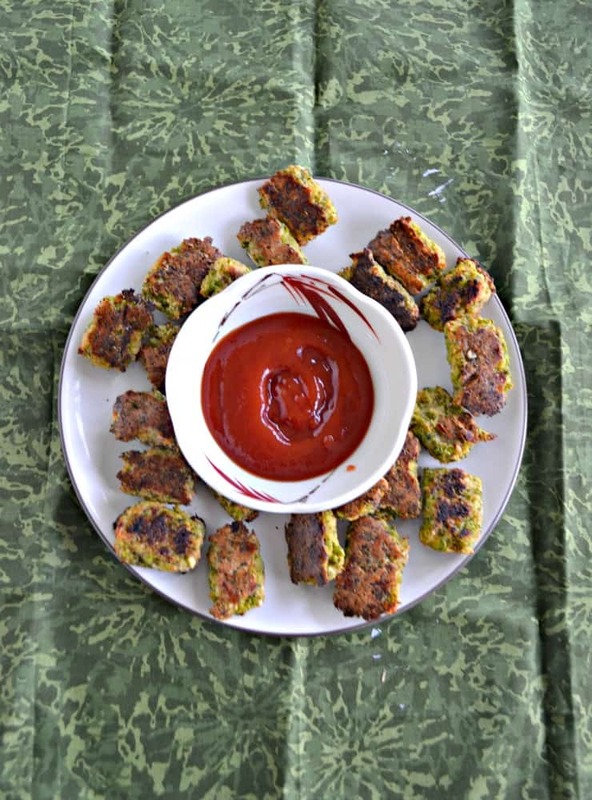 A delicious combination of broccoli, Parmesan cheese, and breadcrumbs rolled into vegetable tots that kids will love! Preheat the oven to 400 degrees. Grease a cookie sheet with cooking spray. Blanch the broccoli for about a minute. Then place the broccoli and onion in a food processor and pulse until the mixture is mostly smooth. Add in the cheese, breadcrumbs, cilantro, garlic, salt, and pepper and pulse a few more times to combine. 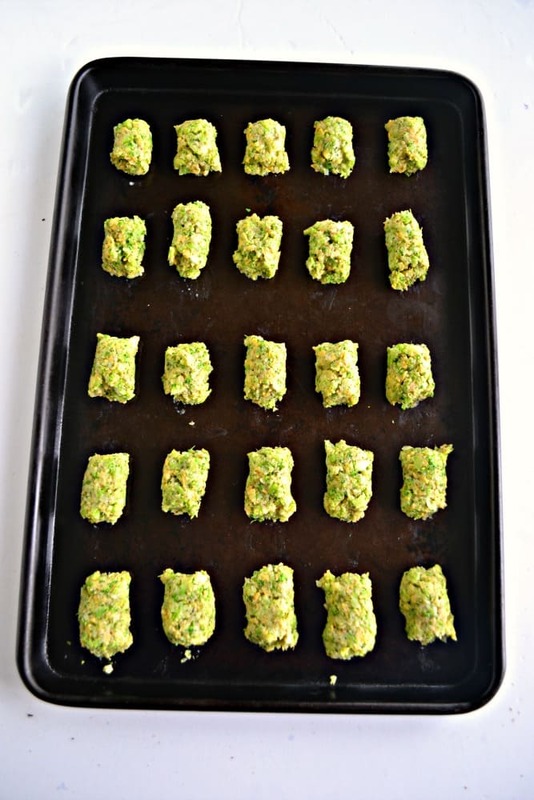 Place the mixture in a piping bag and pipe tots onto the cookie sheet. I used a butter knife to cut off each tot before starting the next one. Bake for 18-24 minutes, flipping them over about halfway through, until they are golden brown. Remove from oven and serve with your favorite dipping sauce. Much as I love tater tots, I never dare eat them. This broccoli version, on the other hand, looks so much healthier and delicious!! i can see these going on my side dish list real soon. Great tip about the piping bag too! My BIG kid won’t eat veggies. Going to try these delicious looking papas! Pinned them and some of the other vegetable ideas you linked to. 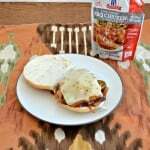 I hope some of these recipes work for you! Let me know if he likes them! 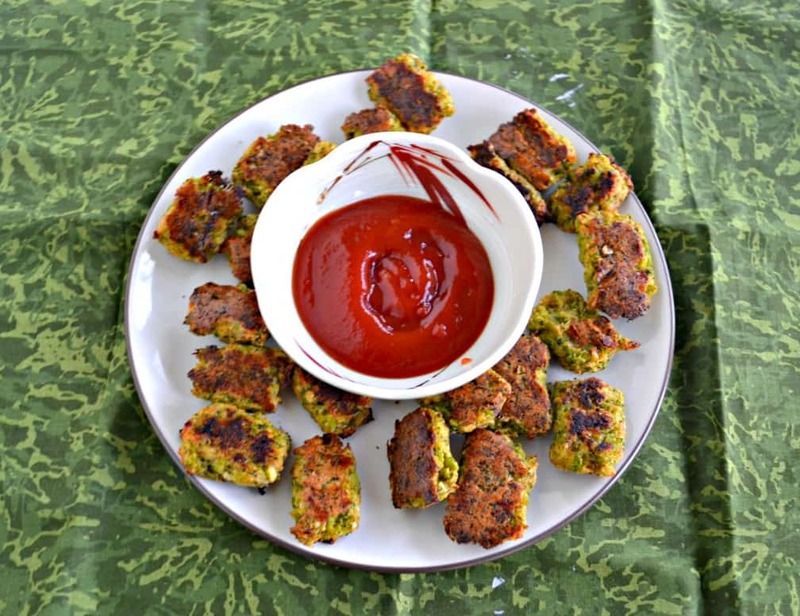 Farmers Markets are fun…and so are your definitely kid-friendly broccoli tots!